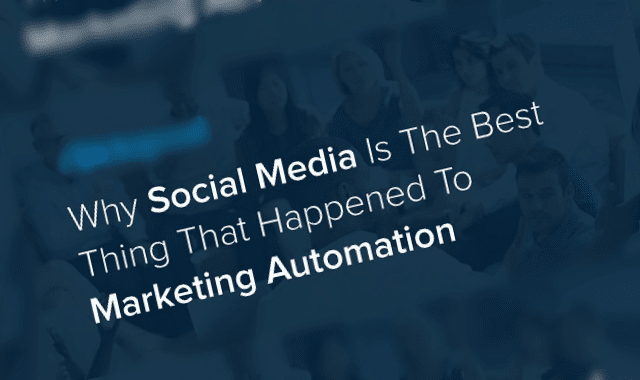 Why Social Media Is the Best Thing That Happened to Marketing Automation #Infographic ~ Visualistan '+g+"
Marketing automation is no longer a luxury, it’s a necessity. With hundreds of leads to keep track of, B2B marketers don’t have the time to build close relationships with every single one. This is where marketing automation comes in. It can juggle multiple tasks at once, collecting valuable data on prospects and tailoring specific content them in a very efficient and organized way. To better understand why social media is the missing piece of marketing automation, we’ve created this awesome-looking infographic. Check it out!